To Hell and Back: The Kane Hodder Story Review: A horror icon shares his life story in this interesting and emotive documentary. You may not know Kane Hodder, but if you have even a passing interest in horror movies, you’ve probably seen him on screen lumbering towards an unsuspecting victim with a machete in hand. Hodder began his Hollywood career as a stuntman before becoming the Jason Vorhees of choice from Friday the 13th Part VII: The New Blood to Jason X. He has appeared in countless other horror movies, as well as worked on numerous stunt teams, most notably in the Hatchet franchise. This documentary, To Hell and Back takes a very deep and personal look behind the man behind one of cinema’s most iconic slasher killers. 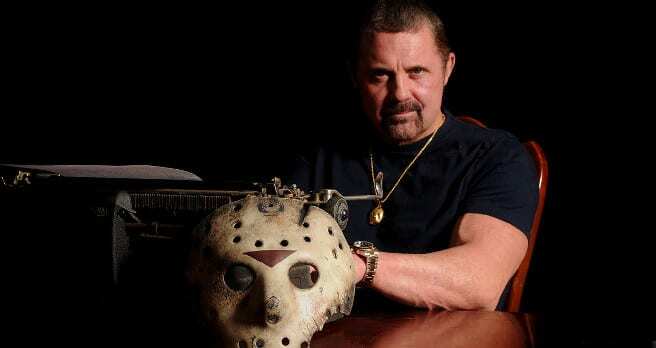 Kane Hodder has not had the easiest road to his success. Mercilessly bullied as a child, Hodder found refuge in his teens growing up in the South Pacific, where he found he had a penchant for scaring people with daring-dos. He seemed destined for a career as a stuntman, but even then, life had different plans. It is at this point that this documentary shows its hand in its true concern. At an early stage in Hodder’s career a terrible accident left Hodder horrifically burnt, with his career seemingly over before it had begun. To Hell and Back charts Hodder’s tale of recovery with the man himself on hand to delve into every detail about his pain, torment, but ultimately his recovery and strength to continue down the path of the career that he loves, despite the fact that it nearly killed him. To Hell and Back is at its strongest during these moments of recollection and reflection as Kane bears all concerning his recovery and subsequent success. The real heart of the film, and the strength of the surprisingly very open Hodder, is in this tale of recovery, proving to be an inspiring message of resilience and spirit in the face of seemingly insurmountable odds. All this from a man who claims to have killed the most people in film. The film also benefits from a great range of contributors, from horror legends such as Robert Englund and Bruce Campbell, to close personal friends of Hodder. It demonstrates his character as both an icon within the great hall of slasher horror and his easy-going nature as an individual. Diving in to his work for burn victims and burn treatment centres just goes to further demonstrate the depths of this man who proves to be a much more inspiring figure then you would perhaps think of the man behind the hockey mask. Director Derek Dennis Herbert doesn’t attempt anything too flashy or distracting when it comes to structuring his materials. He supports individual testimonies with relevant imagery and simply trusts in the power of the charisma of his subject. He is clearly as fascinated with Kane Hodder and his story and allows Kane to take centre stage in a manner which feels respectful and truthful, as well as exuding a fanboy giddiness over his subject. To Hell and Back should prove to be a surprise for many horror fans, as well as individuals who may not be quite so familiar with Hodder’s work. It is a story about the strength of the human spirit to overcome even the grimmest of situations. It is a story about how a passion for entertainment can provide such strength to overcome, and it is one that any movie fan alike should seek out. To Hell and Back: The Kane Hodder Story review by Andrew Gaudion, August 2017. To Hell and Back: The Kane Hodder Story is currently playing as part of the Horror Channel Frighfest 2017 programme. Find out where you can watch the film here. Personal and emotive To Hell and Back is a story about the strength of the human spirit to overcome even the grimmest of situations. It is a story about how a passion for entertainment can provide such strength to overcome.